All the tools you’ll need for your kinetic creations. 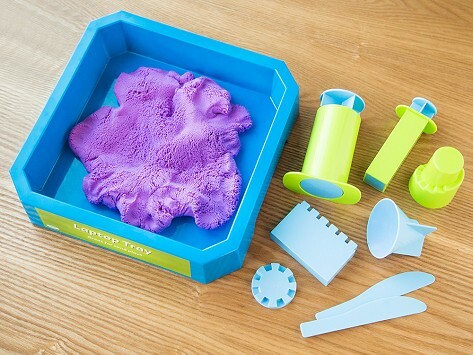 A cross between therapy dough and moldable kinetic sand, this hybrid concoction is as relaxing as it is fun. 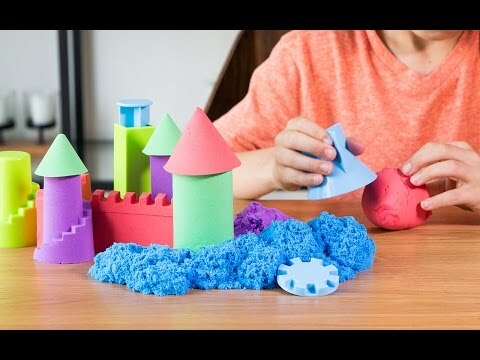 Sculpt and stretch the dough to create towers, stairs, and stone walls around your castle. There’s even a clean-up tray so you can transport your empire. Dimensions (in packaging): 7.5" x 6.75" x 2"
This was a Christmas present that was fun for children and parents alike. Great idea.